Dudes, just think of the footage! These are familiar words to those who know Matt Wright, who recently had another epic clifftop flight in his ASW 20, this time exploring the north coast of Devon. Just three weeks later, Matt was forced to ditch his glider in the sea during another clifftop adventure. 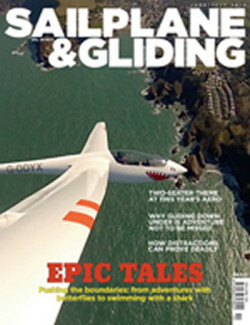 You can read about both flights in the June/July issue of S&G. There is also a six-page report on AERO 2013 and advice on gliding safaris Down Under, where the crocodiles eat mostly Japanese and German tourists, if you go by the language of the warning signs! On Friday 5 April, Matt Wright went adventure flying, exploring the north coast of Devon. On the way to North Hill, a song on the radio had the line ‘Do something every day that scares you!’ – rather apt for his first trip out on the north cliffs of Devon. With butterflies mixing with feelings of excitement, Matt set out to push the boundaries on a new playground and achieve more awesome footage during another epic clifftop adventure. Just three weeks later, a planned task offered the potential for Matt to divert for another cliff soaring adventure. Unfortunately, sometimes even the best of plans fail. Matt soon realised that he had put all his eggs in one very flimsy basket when the expected lift failed to materialise and he was forced to ditch his glider in the sea just west of Porlock. Matt survived, with just a small cut, to tell the tale. His glider did not. An increasing number of accidents and incidents are being recorded, not through the likes of Matt’s epic adventures, but through pilots being distracted, either on the ground or in the air. Statistics make for salutary reading, with an average of five gliders a year getting airborne, or nearly so, with bits missing, controls not connected or panels and accessories not secured. It’s very easy to get distracted, but John Hull of the BGA Safety Committee advises that the trick is to know when we have been. Also to have the self-discipline to go back and check again and again if need be. Being prepared for a land-out is always important, but especially so if you are remote area gliding. On safari in Australia, if there is any chance of landing out, you must be able to survive alone for at least 24 hours. Remoteness can mean that you cannot rely on VHF radio or the phone. John Clark (who says he was transported to Australia in the late-60s) comments that, compared with conditions in the UK or Europe, gliding in Australia is like paradise. With flying all year round, there are plenty of safe outlanding opportunities. As John says, you don’t have to worry about the croc-infested rivers as the crocodiles eat mostly Japanese and German tourists, if the language of the warning signs is anything to go by! 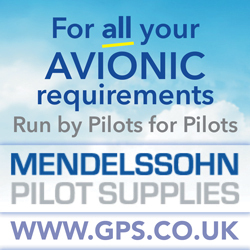 Also in this issue: A six-page report on AERO 2013, including feedback from UK pilots visiting Friedrichshafen this year. Shaun Lapworth reports from Nitra, where rain and snow caused the Pribina Cup to be cancelled. Bernard Eckey looks at three good reasons to glide and asks whether a greater emphasis on learning could combat our high drop-out rate. Alan Lapworth looks at the implications for glider pilots of wind direction changing with height. Alistair Bridges reflects on how the Winter Series has given a welcome boost to UK junior gliding. Rebecca Loncraine talks to G Dale about comparisons between playing music and flying gliders. Ex-Concorde pilot Terence Henderson takes his lovingly-restored Oly to fly in a Shuttleworth Trust display at Old Warden. Peter Turner reflects on his emotions when 14-year-old son Freddie was ready for his first solo flight. Development Officer Alison Randle details the wide-ranging work of the Development Committee. 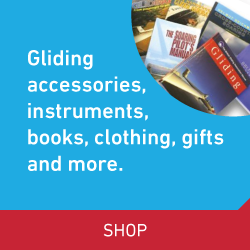 We conclude a three-part feature on what to look for if you would like to own a vintage glider. John Hull looks at how and why accidents and incidents caused by distraction are increasing at an alarming rate. Pete Stratten and John Williams review Sam St Pierre’s autobiography, It sure did beat working. There are many more of your stunning images in the Gallery pages. And last, but not least, there’s the BGA club annual statistics. "Wow, this show is freaking huge"